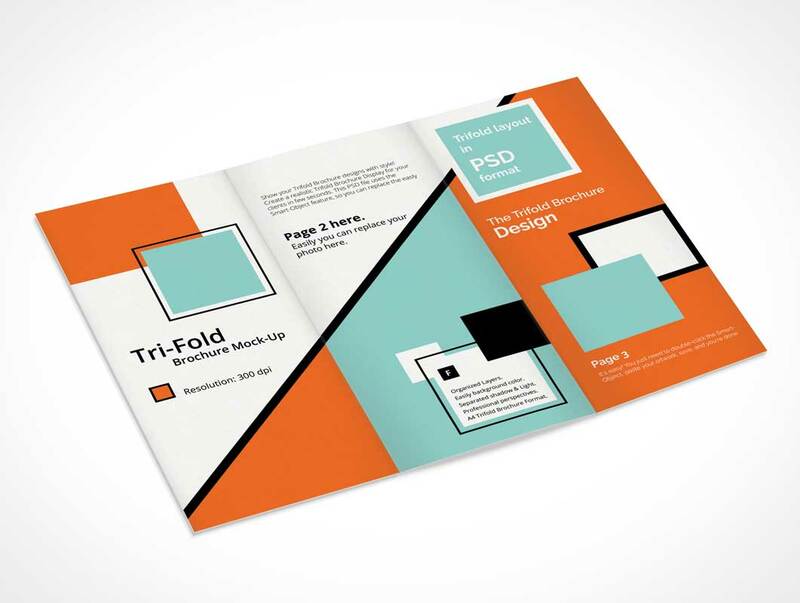 Tri Fold Brochure Mock-Up, Show your Tri Fold A4 Brochure designs with style! Create a realistic Tri Fold Brochure Display for your clients in few seconds. In this PSD file uses the Smart-Object feature, so you can replace the mockup content easily and quickly.